Norwegian Adrega AS powerful Adrega PI P6 reporting tool provides a bridge between Adrega PI and Oracle Primavera P6, giving companies a fully integrated project planning, scheduling and reporting solution that ensures data shared between systems retains its integrity. The Adrega PI P6 reporting tool is an affordable system that adds significant reporting capabilities to a Primavera P6 solution; and does so in a very elegant way. Upload your Primavera P6 XER or XML plan file, and within two clicks quickly find gaps in planning best practices. Or, demonstrate schedule accuracy and maturity. With 67 different analysis tabs, 53 different comparison reports, 6 different work order reports, and 16 different comprehensive graphs Zummer allows users to compare schedules, analyze costs, and analyze project. Zummer is perfect for any company with large projects or companies with a lot of projects. - Present graphs of Critical milestones, Float Distribution, Cash flow, ect. Improve schedule quality by revealing hidden issues. Schedule Reader is a viewer for Oracle Primavera P6 project plans exported as .XER or .XLS file types. It allows users to get complete control over large-scale programs as well as individual projects with the native Primavera P6 EPS (Enterprise Project Structure) and WBS (Work Breakdown Structure) structures. PrimaveraReader comes with familiar Primavera P6 look and feel, making the application very intuitive, eliminating learning curves and training costs. With various customization options PrimaveraReader allows users to customize plan views and calendars according to their own needs. This cost effective viewer costs over 90% less than Oracle Primavera's software updates, licensing and support costs, providing economically sound productivity solution for project teams using Primavera. It has a flexible licensing policy, aiming to provide the best value for teams and companies of all sizes. PrimaveraReader's application has helped companies of all sizes and industries, most notably companies in the automotive, engineering and construction, oil and gas, aerospace and defense, industrial manufacturing and public utilities industry. PrimaveraReader comes with dedicated customer support ready to provide the highest quality, most accurate and dependable services, Monday to Sunday, 02:00 - 18:00 EDT (8:00am - 12:00 Midnight CET). Click here to download trial of PrimaveraReader. ScheduleCleaner is a desktop application for Windows, that allows project schedulers, planners, managers and other users to remove or anonymize data deemed confidential within XER project files. Book a demo for ScheduleCleaner. Project Tracker is a Windows based application that imports project information from Primavera P6, Microsoft Project and Asta Powerproject to create S-Curves which are used to analyze the progress of the project. An S-Curve is a graphical representation of cumulative costs, manhours or time measured against the overall project plan. It is an ideal tool for managers to quickly assess where the project stands in terms of completion, deadlines, and budget. Additionally many clients will ask for an S-Curve report as part of the regular progress update. For over 10 years, Schedule Analyzer has been helping inexperienced schedulers to work smarter and smart schedulers to work faster. It is an add-on software suite for P3 and P6 schedules. Schedule Analyzer is a complete schedule review tool. Besides reviewing schedule updates, Schedule Analyzer reviews your Baseline Schedule and unravels complicated out-of-sequence situations. It provides contractors with a pre-review and assists the reviewer with extensive analysis and editing tools. Asta Powerproject, is a class-leading project, portfolio and resource management solution used successfully throughout the world to support project activity, at all levels of complexity. The software is suitable for use by anyone involved in the delivery of a construction project. One of the advantages of Asta Powerproject is that it will open, edit save to or create a P6 XER file at a lower cost than an Oracle Primavera P6 license. EcoSys is a certified Oracle Primavera Technology Partner that provides web-based project financial management software. EcoSys is fully integrated off-the-shelf with Primavera. Have you ever imported a project into your Primavera database, and had it make a mess of your production data? It is a common problem for organizations– trying to maintain configuration of global codes when importing XER files. Wouldn't’t it be nice to be able to see the contents of the XER file BEFORE you import it? XENA allows the user to review XER code structures, then map, modify or delete them to match the production database configuration. Using an intuitive set of mapping tabs, XENA displays the information necessary to create a new XER import file, based on the user’s conversion requirements. Free 30 day evaluation copy. Steelray Project Analyzer analyzes schedules (Primavera P6, Microsoft Project and Project Server) using a patent pending set of criteria and produces customizable reports as scorecards, Excel, PowerPoint, Word, or Web files. Mini-applications within SPA compare two schedules, check for circular dependencies, report longest paths, and calculate DCMA’s 14 Point Assessment. You can add your own criteria and/or customize the existing metrics. We offer a free, fully functional trial at http://www.steelray.com. TILOS is linear scheduling software for road, rail, tunnel and pipeline projects to connect site layout and scheduling data in a single plan. It perfectly integrates with Primavera, MS Project and ASTA Powerproject. XER Manager has the ability to automatically remove, rename and transform over 65 different categories of data. For example the removal or renaming of activity codes, project codes, document categories, document statuses, notebook topics, expense categories, risks, risk types, thresholds, user defined fields, resource codes, cost accounts, issues, unused currencies ,units of measure, roles, resources. For incoming files it ensures your P6 database will not be polluted by unwanted data nor external configuration definitions. For outgoing files it ensures any sensitive data (profit margins, costs, issues, etc) that you choose can be safely removed from XER files prior to sending them to the other party. Acumen Fuse is a project analysis and visualisation tool that takes snapshots from scheduling, costing, risk analysis and EV tools and analyses them in an integrated environment, using ribbons to group project and portfolio information into categories such as discipline, location or phase. 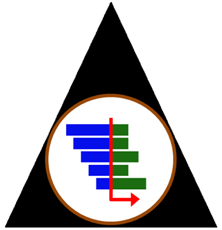 The Acumen Fuse library of analysis metrics, which can be run against each ribbon, include the DCMA 14-point assessment, a comparison of current progress to a project’s baseline plan and any custom metrics a user wishes to define. The XER Toolkit is a multi-functional MS Excel Addin that can read, display, analyse and output Primavera scheduling data within the familiar Excel environment. The toolkit requires no specialist software installation or training and employs Microsoft’s JET database engine technology so can open and interrogate large, multi-project XER files. The toolkit includes a versatile schedule viewer which has the appearance and functionality of the native Primavera gantt, replacing the need to furnish schedule stakeholders with dumb PDFs and instead, users can now define and save the column/ filter layouts appropriate to their requirements. Comviz calendar allows you to export Primavera P6 calendars into the PDF format. You can define start and end dates, non-working days, change day colors and labels. It automatically displays working day and working week numbers calculated from the start date. A schedule comparison report is the foundation for successful schedule change management. Change Inspector produces detailed and streamlined schedule change analysis reports providing the much needed transparency. Change Inspector reduces the time for reviewing schedule updates, creates fully auditable record of schedules and highlights the problem areas. It works with Oracle Primavera P6 (*.xer), Contractor (*.xer) and Microsoft Project (*.mpp) files. Download a 30 day trial version and test it on your project.e. Phoenix Project Manager provides the REAL ALTERNATIVE for project scheduling. 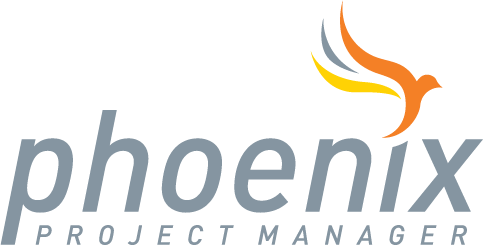 Phoenix Project Manager is a project-focused Critical Path Method scheduling tool. While the Phoenix interface is familiar, with many of the same features your existing software provides, complex functions have been simplified in order to make common tasks less time consuming. Phoenix Project Manager both Imports & Exports XER files, allowing you to collaborate with others without the cost and training needed to use P6. The ease of use in Phoenix allows you to spend more time building your project and less time building your schedule. The Knowledge Relay Solution is an operational business intelligence (BI) solution that delivers pertinent information on a timely basis, putting it into the hands of those who make operational decisions in a format meaningful to them. In doing so, we help accelerate business processes by providing usable information in right-time, without interfering with the operation of other applications. With reports distributed in PDF format via email or web portals, Knowledge Relay lets organizations of any size easily share information among appropriate stakeholders. Automate Primavera P6 data loading and updating. Import and export data back and forth between Primavera P6 and Microsoft Excel with ease. Integrating project data from separate systems and data sources is seen by many in planning and project controls as being a significant challenge that can result in inaccurate or outdated data transfer, additional cost and inefficient, fragmented business processes. Collabro has developed a software tool. Legare, that enables seamless data integration with Oracle Primavera P6. Legare enables the rapid transfer of clean data from a number of different sources into P6, guaranteeing data integrity and planning efficiency. Making use of Primavera’s API, Legare deliver further advantages over Primavera’s native import and export tool by offering data transformation options and automated batch updates. Legare is used by project planning teams in some of the world's largest companies- increasing the return on their investment in Primavera. It's flexibility, speed,user-friendly interface, and accurate data loading makes Legare an essential element in the effective use of P6.